enforcing the law can be a very difficult task. Trese must confront these supernatural crime-fighters and bring order back to the city, before the underworld attempts to seek balance in its own way. Someone really has to turn Trese into an HBO-like TV series. Not into a movie because a movie will not be able to accommodate and do justice to its complex characters, world-building, and story arcs. A movie will just focus on action, and Trese is more than that. 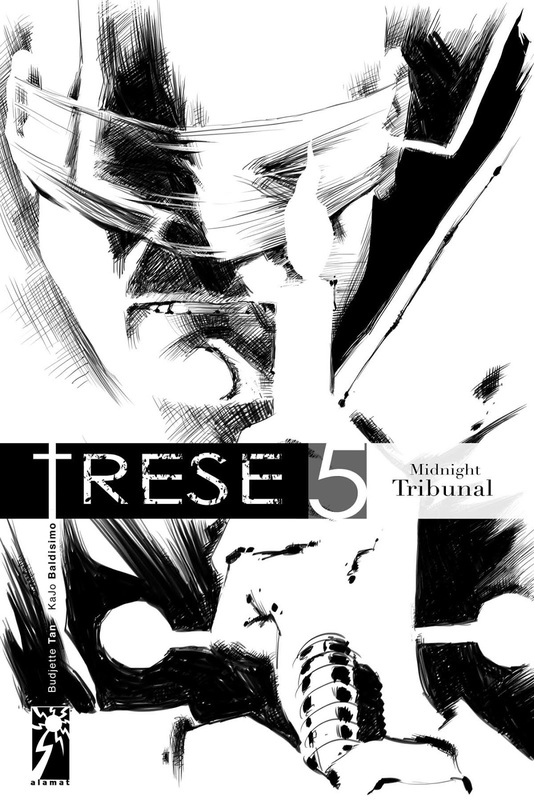 Trese the graphic/dark fantasy series pays homage to Filipino mythology populated by mystical beings such as the ebwa (ghouls), tikbalang (half-man-half-horse), higante (giants), laman-lupa (earth elemental), nuno sa punso (dwarf-like man whose dwelling is an anthill), and santelmo (spirit of fire). It is structured as a series of criminal cases involving the supernatural. Alexandra Trese is the detective called in by the police when they encounter such cases. She comes from a long line of warrior-shamans, tasked to maintain the balance between humanity and the supernatural world. She is accompanied by the Kambal, twin brothers Bastian and Crispin, sons of a powerful war god. Written in English, the series can be appreciated by non-Filipino readers. In fact, they may enjoy it more if they are tired of the usual urban fantasy and horror tropes and aiming to experience a different kind of approach. They wouldn’t need too much explanation on the new mythos as the black-and-white graphics speak volumes about the characters and story. In this volume, the series pushes for the beginning of a very promising story arc. The volume is episodic with interconnected stories. Someone is trying to do Trese’s job for her. This someone is faster and more prone to sensational antics. Trese must catch this someone before he or she gets into too much trouble. Unfortunately, another player, a masked giant, gets into the picture to stand judge and executioner to the supernatural bad guys in the city. Trese and the Kambal have their hands full. I really enjoyed this series. My favorite characters are the funny but lethal Kambal. I am fascinated by the idea that creatures of myth and my grandmother’s stories are living side by side with us, and that some of them are actually pulling the strings in business and politics. The series also incorporates contemporary Filipino superhero elements, only it twists them into something darker, intensifying sorrow, anger, vengeance and the quest for justice leading to not-so-shining fates for beloved icons of hope and courage. To see them as ordinary human beings who experience tragedy, grow old and die is painful. I guess they can not always save the day, because sometimes they can’t save themselves. Midnight Tribunal is rather harrowing, but still very exciting. Trese has a love interest now (and the few scenes on it are so cute!) and arch-nemesis. I absolutely jumped in glee when I realized who it was. For me, it’s pure genius. I am so absolutely looking forward to see where the authors intend to go with it. Click to read my other TRESE reviews.